Pastor Derrick Johnson, known in the Wilmington Del. 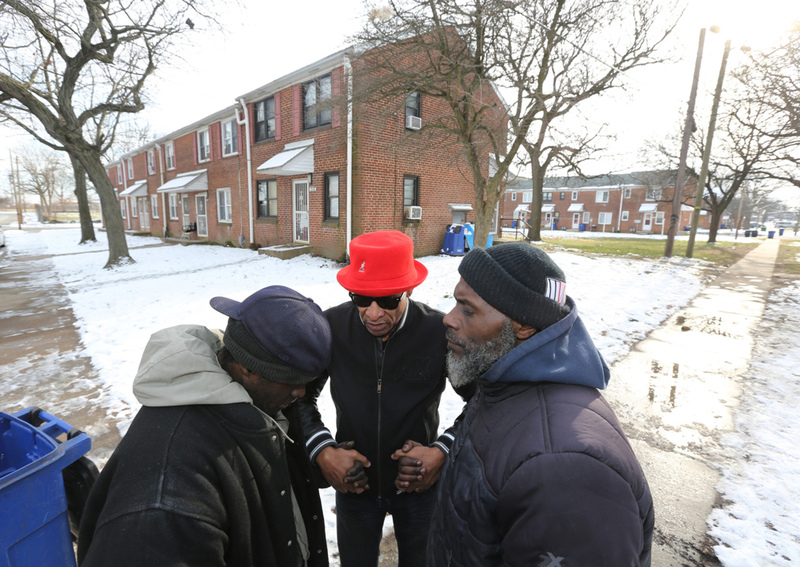 community as 'Pastor D,' has presided over 316 murder victim funerals since 2004. Pastor D, convicted of manslaughter at 19, is a survivor of the street life that he now strives to save kids from. Faced with the unwanted label of being the most dangerous place in America to be a teenager, this city just north of the Mason-Dixon Line fought back against the scourge of gun violence and appears to be making modest gains. The city hired a new police chief who had helped pioneer the use of data, and it joined forces with state officials to jointly attack the problem. 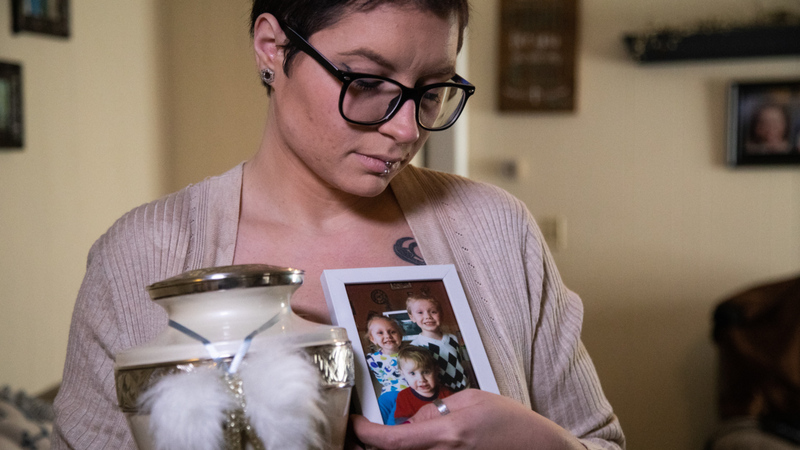 No city, relative to its size, has been so scarred by gun violence as Delaware’s biggest city, Wilmington, itself small by municipal standards with a population around 70,000. In September 2017, the local News Journal dubbed Wilmington “The Most Dangerous Place in America for Youth.” That was just a few years after Murder Town USA, a Newsweek piece that angered city officials because they’d already taken aggressive steps to lower gun violence. , led that effort by downplaying the gun angle and playing up mental health questions. The CDC created a research model for Wilmington using state and local data to study 565 shooting cases. In November 2015, it issued a report on how future violence in the city could be tamped down through greater data sharing and risk-assessment tools. CDC researchers “found that some children were acting out, and what we called behavioral issues really were … a traumatic episode. And instead of providing support systems to this child, we’re doing punitive things to that child, and sending that child out with hopelessness into society,” said Shabazz, noting teachers were unaware the child might be living in a shelter, or have incarcerated parents or have been abused. In January 2019 Wilmington Delaware's new Police Chief had some good news for the city labeled in 2017 as ' The most dangerous place in America for youth' by its hometown paper. Gun crime is trending down for the first time in more than 15 years. After the CDC study, members of the governor’s cabinet formed the Family Service Cabinet Council to collectively break down information barriers. Locally, Wilmington formed a Community Advisory Council to help develop pilot programs and better outreach. Getting agencies in sync remains a challenge. So does the lack of further federal research. Despite herky-jerky progress, Wilmington remains a test case for other cities plagued by teen violence because of its data-driven strategies being tested by police. “Our numbers are unbiased. These numbers tell us a story that we follow,” said Robert J. Tracy, the city’s police chief. Reeling from a renewed spike in murders in 2017, city leaders brought in Tracy from another crime-plagued city, Chicago, to change Wilmington’s inglorious reputation. Murders fell from 35 in 2017 to a 22 last year, and the number of shootings, fatal and otherwise, fell from 194 to 79. Included in those numbers are juvenile shooting incidents (defined as 17 and under), which fell from 18 to eight, and the number of juvenile shooting victims, which fell from 19 to eight, one fatally. Nineteen of Wilmington’s 22 murders last year involved guns. The improvement has leaders hopeful. Tracy aggressively uses computer statistics, known as CompStat, an approach he helped pioneer in New York and Chicago. It helps police better understand — and respond to — crime patterns and creates accountability for cops on the beat and their commanders. As a result, the clearance rate, the percentage of cases solved with an arrest, improved dramatically in 2018. The challenge will be making 2018’s gains stick, cautioned Pastor Derrick Johnson, who served time as a young man for a homicide and whose Joshua Harvest Church seeks to break the cycle of retaliatory violence. He said police often mislabel violence as formally gang related when in fact poor neighborhoods operate as extended families with defined rules of behavior. “That dynamic is not like the old gang dynamic,” Johnson said. Since 2004, the pastor has presided over 316 funerals locally for victims of violence, giving him a grim, longer view. It fell to Johnson, known affectionately as Pastor D in inner city Wilmington, to preside over last June’s burial of 15-year-old Doris Ericka Dorsey. She died from a shotgun blast in the early hours of June 17 as she sat in her father’s car, celebrating his birthday. She was killed just outside city limits, so she doesn’t count in Wilmington’s statistics. That doesn’t matter to Tawaina Pennewell, 46, the cousin in Wilmington who ensured the sweet girl nicknamed Lil’ Mom went out in style. She dressed Dorsey in jeans, new sneakers, a fanny pack and dark sunglasses. The funeral ensemble was completed with lip gloss and a cellphone. “Didn’t make it high school, not a troubled child, not anybody say one bad thing about her,” Pennewell said, while showing photos of Dorsey. Despite the city’s improved statistics, Raquis “GG” Deburnure, 16, and his 18-year-old half-brother, Rashaad Wisher, were among Wilmington’s unsolved murders in 2018. The two were killed in successive months, June and July, and blocks apart in a grim eastside neighborhood just blocks from the one-time home of Bob Marley, who preached unity and in whose honor One Love Park was named in 2014. Marley’s first cousin, Elaine Malcom, lives in the house decorated in Jamaican colors. Pushing back her long dreadlocks, she describes an area that’s grown more dangerous with kids who have fewer parental controls. “There is no house. They just go out and do what they want to do,” she lamented. Makeshift memorials dot the neighborhood, yet neighbors shake their heads no when asked if they knew the boys, and most walk on without a word. Andrea Skinner stops briefly — the middle-aged woman’s eyes darting around — and then suggests she’s a hostage in her own neighborhood. Asked about the boys, an elderly neighbor begs off with a sharp rebuke.